State-of-the-art facilities make getting into the pool a real pleasure. 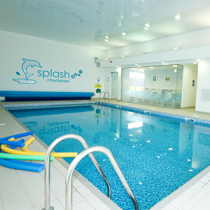 We offer swimming lessons and activities for all ages and abilities, from babies to adults. Splash features a state-of-the-art swimming pool offering an unrivalled swimming experience. Splash’s pool is better for the environment and visitors being virtually bacteria and infection free. This means that the pool is perfectly suited for babies and small children with delicate skin and also allergy sufferers. Our purpose built changing rooms house leading equipment and facilities by Armitage Venesta. 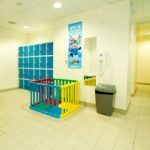 Our male and female changing rooms, are colour coded with high quality, durable fixtures and fittings. 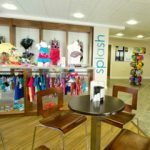 We have a swim shop on site here at Splash where you’ll find competively priced, high quality swimwear, footwear and swimming accessories from leading brands including Maru, Aqua Sphere, Seafolly, Havaianas, Splash About and Swim Tech. We’re also official Havaianas stockists and you’ll find a huge range of Havaianas flip flops here at Splash. Remember, FREE parking is available here at Splash!